Oz: I may not actually be a wizard. Glinda: Yes, but they don’t know that. Nobody really wants anyone to mess with a classic like THE WIZARD OF OZ, but in the current Hollywood climate of robotic reboots and franchise fever, it is essentially inevitable. So all any of us can really do, aside from reject the trend to ransack the reputation of classic cinema, which we can all admit is not about to happen, is really just hope that what they come up with, isn’t so insulting that it actually ruins the original for us. Being a huge fan of the Victor Fleming musical, which is nearly 75 years old now, I braced myself pretty hard for Sam Raimi’s OZ THE GREAT AND POWERFUL. And while it does lack some of the spontaneity and endearing charm of Fleming’s film, it does a surprisingly good job remaining respectful to its tone, themes and structure. “Great and Powerful” may be pushing it a bit, but I’ll give him “Reasonably Cool and Sometimes Pretty Amazing”, if he’ll take it. OZ THE GREAT AND POWERFUL is a prequel to the story we all already know and love (presumably). It tells the story of how the wizard got to Oz in the first place (which doesn’t make a whole lot of sense considering Oz only exists in Dorothy’s mind ... unless she’s unconscious again and having an elaborate prequel dream, but I digress). Leaving logic aside though, Oz, the man himself, played by a surprisingly jubilant, James Franco, is, in 1905 Kansas, a traveling circus wizard who can barely convince his audience that he is anything great or powerful at all, let alone himself. One day, his hot air balloon gets caught in a twister that takes him away to the merry old land of Oz. Once there, he meets a variety of characters, including a trio of witches, all played, by Michelle Williams, Mila Kunis and Rachel Weisz, with elegance and a knowing nod to the history imbedded in the roles they have taken. Just like Dorothy, the wizard must journey along the yellow brick road on a quest to save Oz. And, like Dorothy, he just may learn something about himself along the way. The familiar structure and authenticity of the actors’ performances are commendable and their efforts are appreciated. I’m not sure Franco is as wonderful as ever a wiz there was, but I applaud him all the same because there are some wonderful, wonderful things he does, nonetheless. 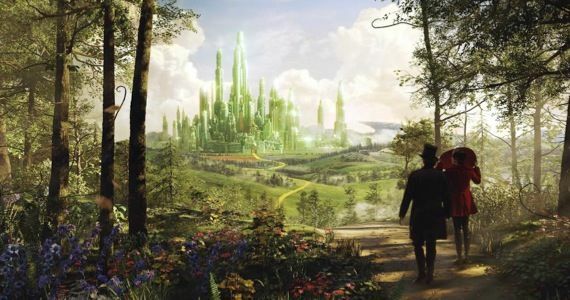 OZ THE GREAT AND POWERFUL will not be this generation’s THE WIZARD OF OZ, but I would argue that nothing really can. We’ve pretty much seen it all at this point. 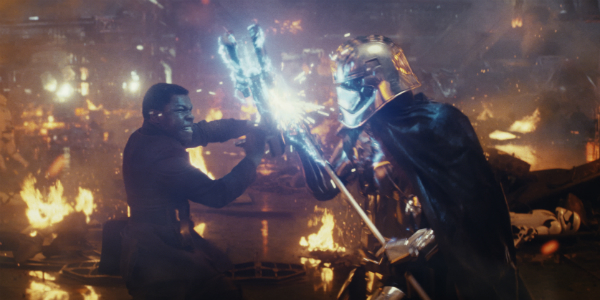 Part of what makes the original as dazzling as it is, are its feats of technical magic. Audiences, aside from falling in love with the characters, were wowed by what they saw on the screen. Raimi’s version of Oz is often spectacular, the china girl (voiced by Joey King) and the flying monkey (voiced by a winsome, Zach Braff) being shining examples, but it does also overdo it at times too. Trees that throw apples are menacing, but simple; CGI plants with big, bright eyeballs and sharp, scary teeth, chomping directly at the audience in 3D, are excessive and also somewhat disturbing. 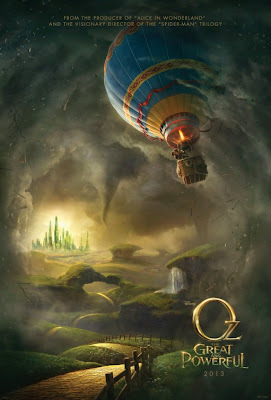 All the same, it is still, more often than not, a wonderful world of Oz, but we are so rarely and truly wowed these days that, impressive as it is, it doesn’t really amount to much more than a family-friendly amusement park ride in a movie theatre. That said, it is often an exciting ride to be on, that will surely satisfy the more forgiving purists amongst you. I can’t imagine people will still be taking this ride 75 years from now though.